Readers from the UK, keep calm and carry on…to Amazon UK: The first Hudson Kings book is part of a December promotion. Get The Transporter for 1 GBP! I’m celebrating the release of The Financier! Enter to win a $20 Amazon gift card on my Facebook page. 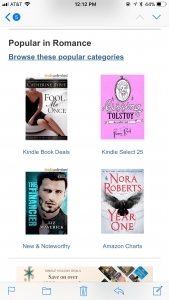 And then head over to BookSweeps to enter for a chance to win a Kindle and 50+ romantic comedy ebooks! The Transporter is a Kindle Monthly Deal! →You won’t miss a thing when you sign up for my newsletter at www.lizmaverick.com/newsletter. 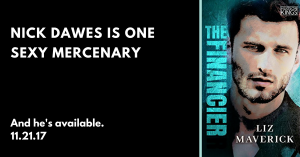 Heroes and Heartbreakers is featuring a new, exclusive excerpt from The Financier. And it’s a little steamier than the last one. Head on over!